bscan is a command-line utility to perform active information gathering and service enumeration. At its core, bscan asynchronously spawns processes of well-known scanning utilities, repurposing scan results into highlighted console output and a well-defined directory structure. bscan was written to be run on Kali Linux, but there is nothing inherently preventing it from running on any OS with the appropriate tools installed. 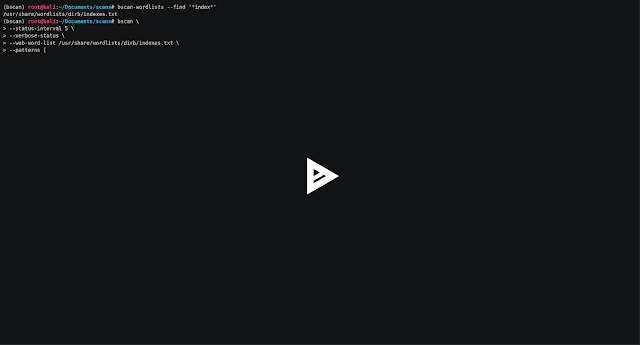 The main bscan program ships with two utility programs (bscan-wordlists and bscan-shells) to make your life a little easier when looking for wordlists and trying to open reverse shells. Try bscan-wordlists --help to explore other options. Note that bscan-shells pulls these commands from the reverse-shells.toml configuration file. Try bscan-shells --help to explore other options.